Today, personal computers exist everywhere. Do you know the story of the man behind the revolution in personal computing? His name is Paul Allen and on October 15th, he died of non-Hodgkin’s lymphoma at the age of 65. Allen was a pioneer in the technology industry and worked closely with Bill Gates to create Microsoft, a computer software corporation. He was one of the richest people in America, with a net worth of $20.3 billion! Paul Gardner Allen was born in 1953 in Seattle, Washington. Allen met Bill Gates while attending the Lakeside School, a private preparatory institution. Both of them were computer enthusiasts who experimented with code by using their school’s Teletype terminal, a basic computer system that is linked to a larger, mainframe computer. Allen went on to study at Washington State University, but he dropped out after two years to become a computer programmer. While Allen was working in Boston, he reunited with Gates, who was studying nearby at Harvard University. Allen convinced Gates to drop out of Harvard in order to pursue their goals of designing software for computers. After discovering that the world’s first personal computer, Altair 8800, needed a new programming language, Allen and Gates began working together. Using a computer language called BASIC, they successfully created the program and pitched it to Altair. 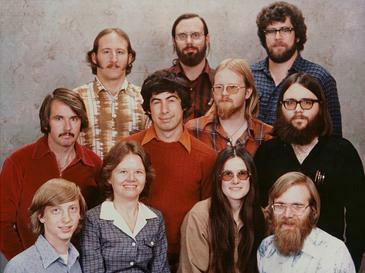 Allen and Gates adopted the name Microsoft in 1975, a merge of the terms “micro” which refers to small computers and “soft” which relates to software. Altair was Microsoft’s first client and large companies such as Texas Instruments and IBM soon followed suit. Microsoft had its breakthrough when Allen sold a software called QDOS to IBM, which would eventually be used in millions of personal computers. In 1982, Allen learned that he had lymphoma and decided to leave Microsoft. Later, he co-founded Vulcan Inc., an investment company, with his sister in 1986. Vulcan Inc. oversaw Allen’s investments in various philanthropic projects. Microsoft is now a billion-dollar corporation with millions of users worldwide. Its products such as Microsoft Word, Microsoft Office, Excel spreadsheets, the Windows operating system, and the Xbox gaming system are used by people daily. Using his wealth, Allen has donated over $2 billion to nonprofits that enhance education in technology and science, as well as groups that combat elephant poaching and the Ebola virus. He started the Allen Institute for Brain Science and Allen Institute for Artificial Intelligence to promote research in STEM fields. He founded the Paul G. Allen Family Foundation to make a positive impact on his community and is recognized for his selfless contributions. Allen also owned the Seattle Seahawks of the NFL and the Portland Trail Blazers of the NBA.